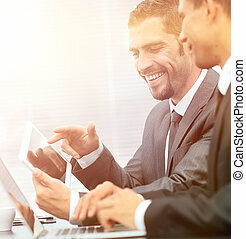 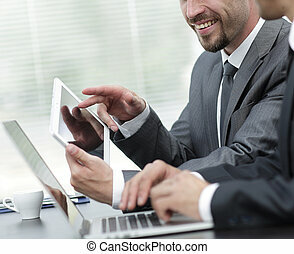 Closeup.business colleagues with a tablet. 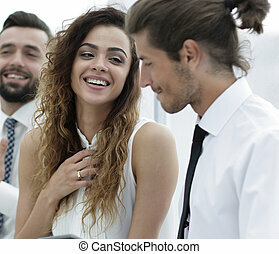 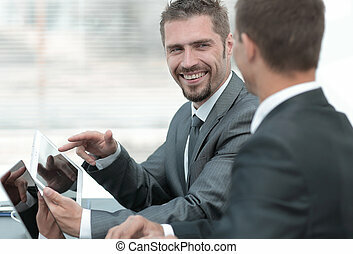 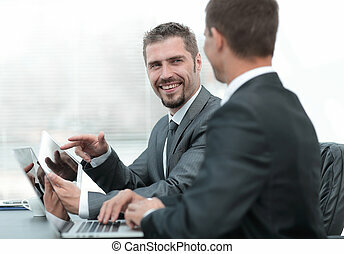 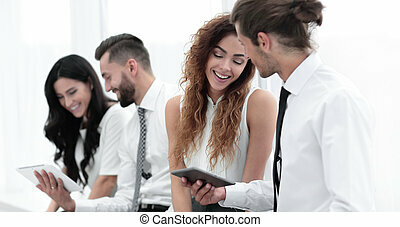 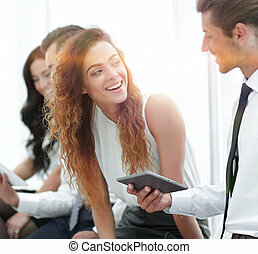 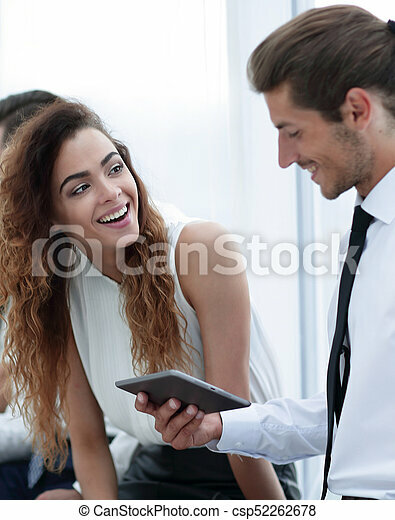 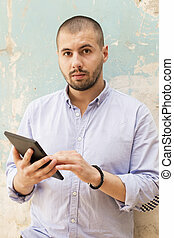 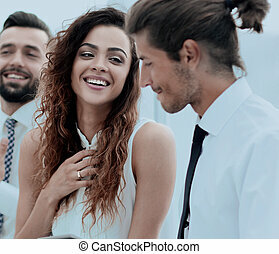 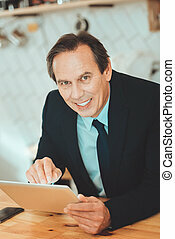 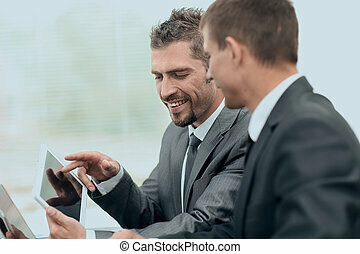 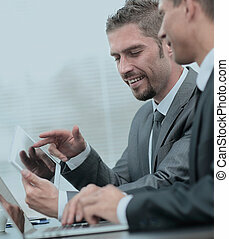 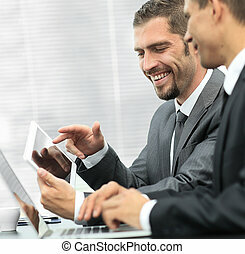 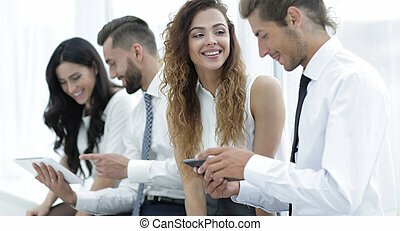 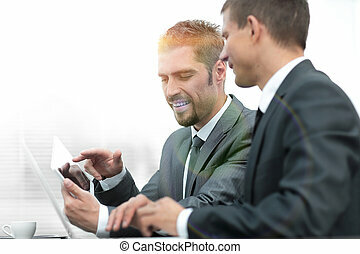 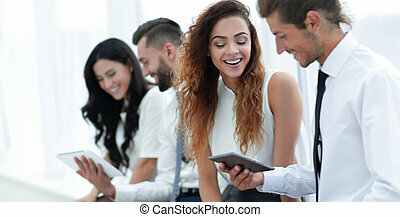 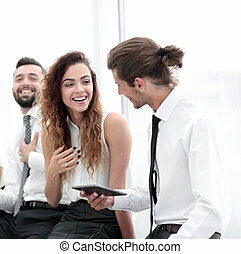 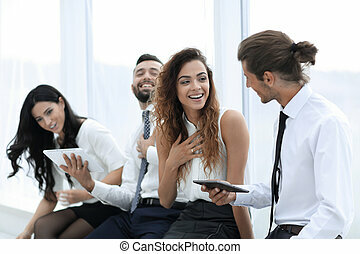 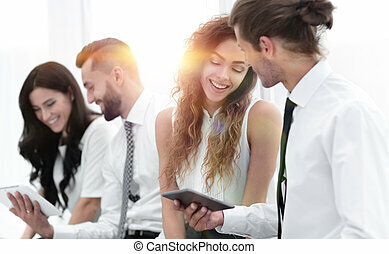 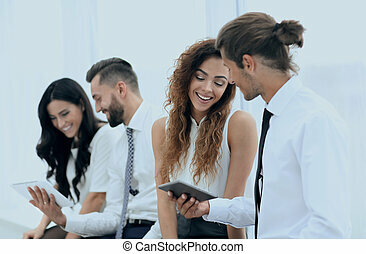 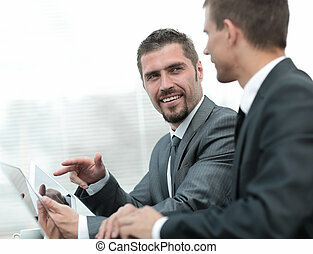 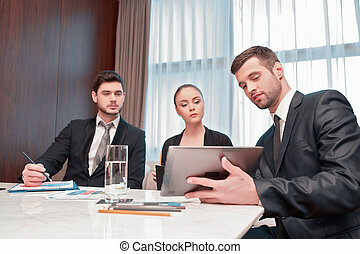 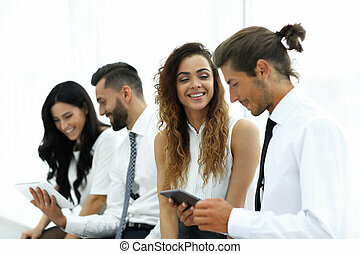 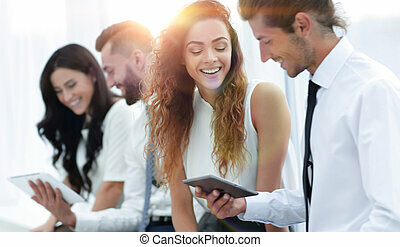 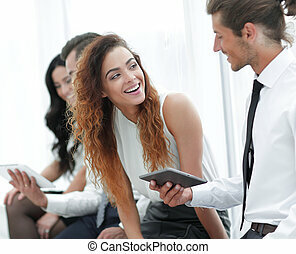 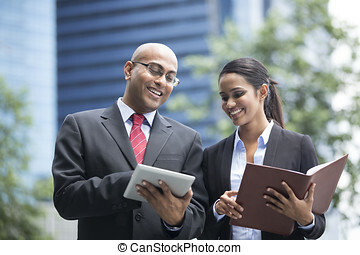 Business Colleagues With A Tablet. 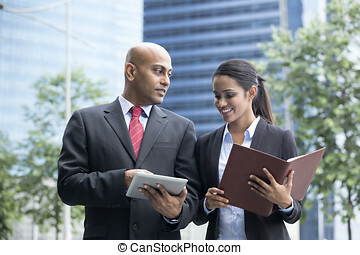 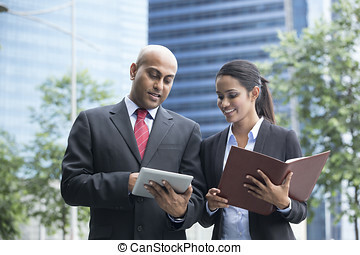 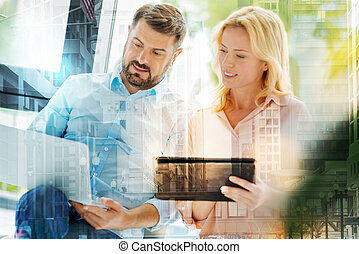 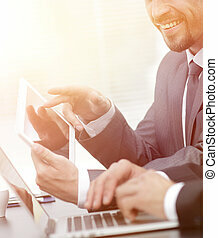 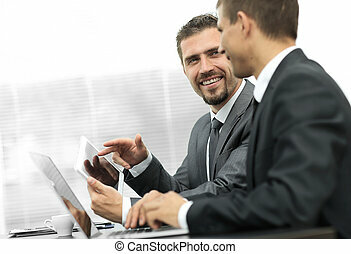 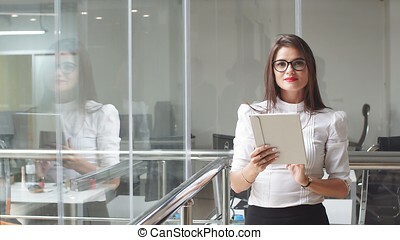 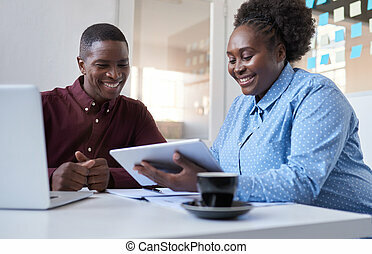 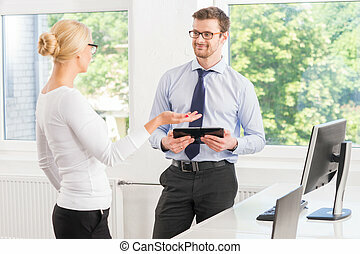 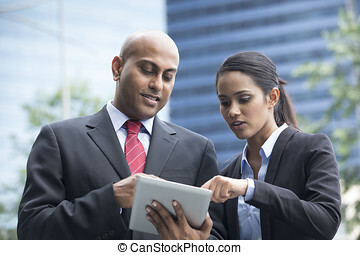 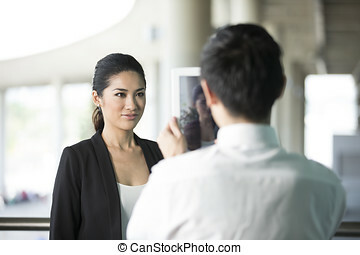 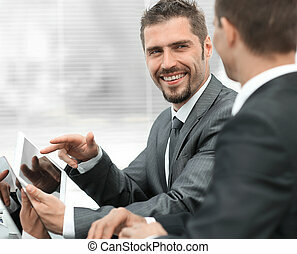 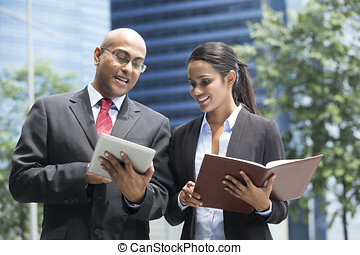 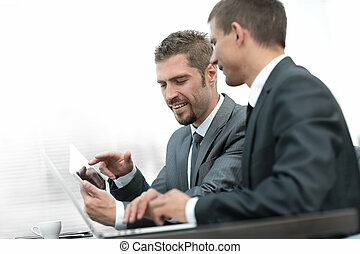 Two Indian business people with digital tablet in a modern urban setting.